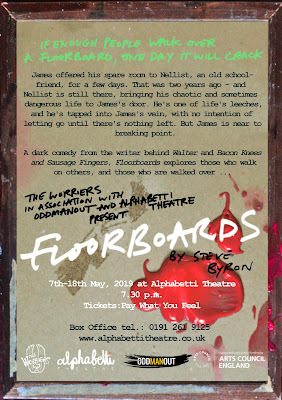 Two of the region's most exciting theatre companies are joining forces to bring a brand new dark comedy to Alphabetti Theatre this spring! Both ODDMANOUT Theatre Company and The Worriers are coming together to present 'Floorboards', a new play about how far someone is willing to be pushed before they break. 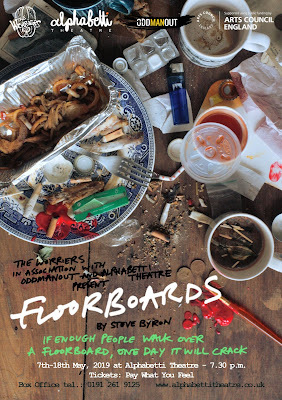 The play written by Steve Byron, writer of Walter and co-writer of recent success Bacon Knees and Sausage Fingers explores those who walk over others and those who are walked over. Those that have a big voice and little to say and those who have so much to say but little or no voice to say it with. Those that push buttons and those who’s buttons are pushed. 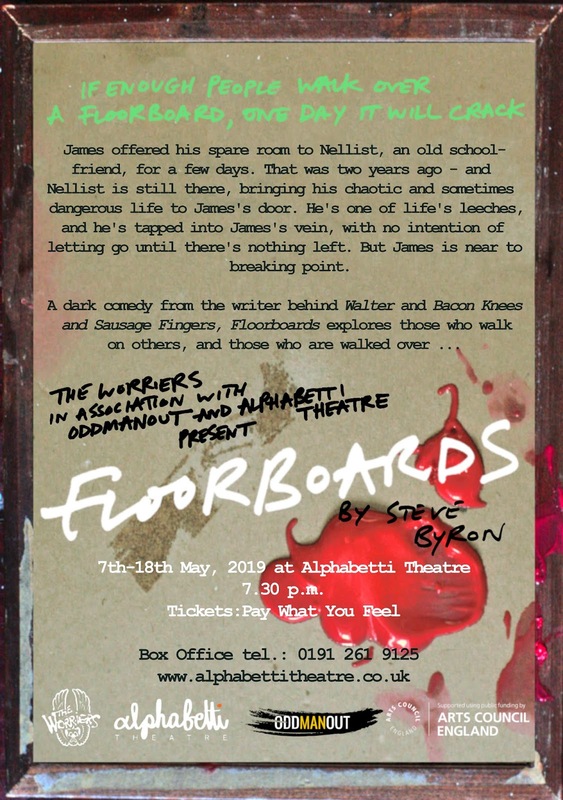 Floorboard’s tells the story of James, a kind soul who offered a spare room to Nellist, an old school friend for a few days. That was two years ago and Nellist is still there, bringing his chaotic and sometime dangerous life to James door. Near to breaking point, James dreams of his quiet life back but Nellist, one of life’s leeches has tapped into James vein and has no intention of letting go till there’s nothing left.